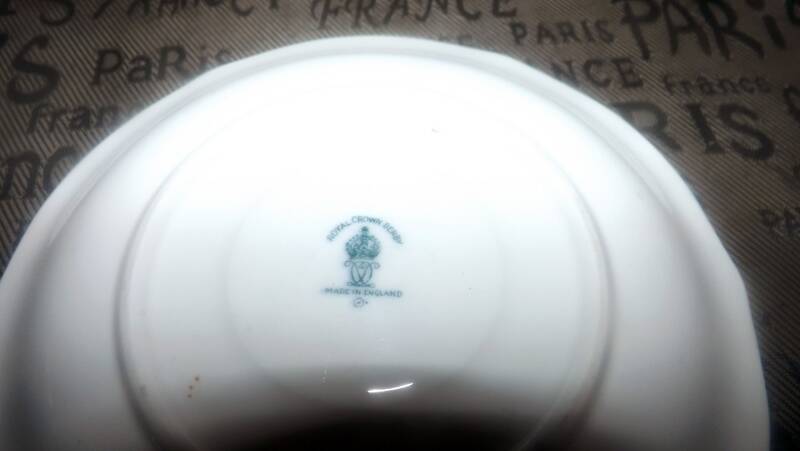 Almost antique (1927) Royal Crown Derby Mikado pattern blue-and-white Chinoisierie motif orphan saucer only (no cup). Flawed (see below). 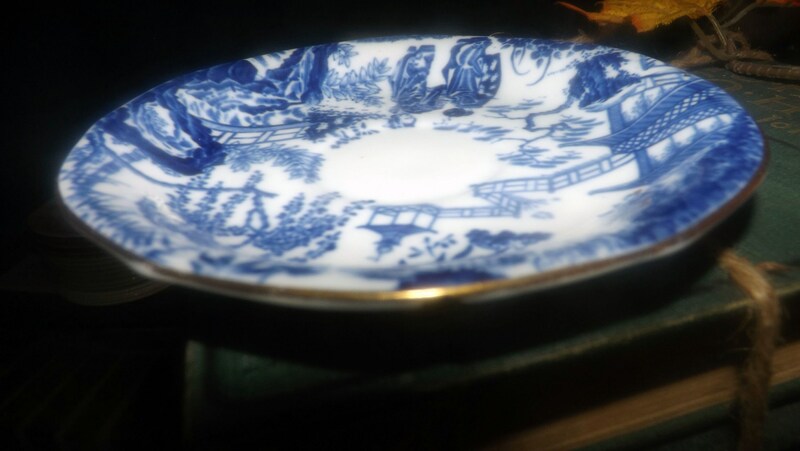 Almost antique (1927) Royal Crown Derby Mikado pattern blue-and-white Chinoisierie motif orphan saucer (NO cup). In overall EXCELLENT! 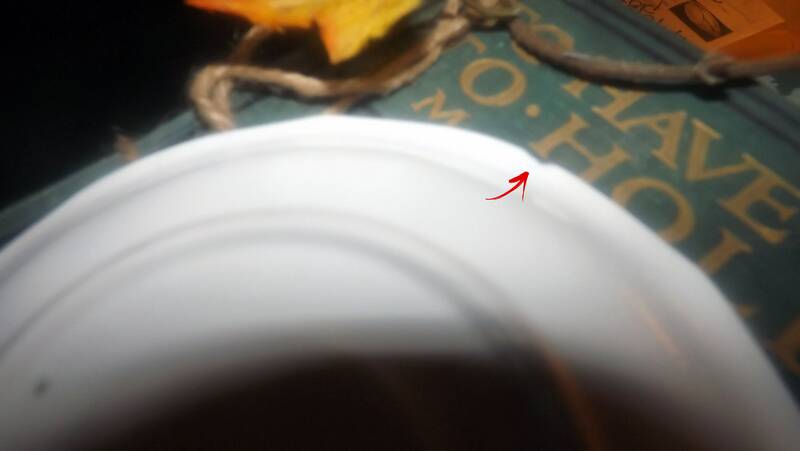 condition, the saucer has a nick to the edge noticeable primarily to the REVERSE when the saucer is turned over and somewhat less noticeable from the profile on one side (please review each of the posted photos for a complete visual of the item). Otherwise, there are NO! other chips, nicks or fleabites, NO! cracks, NO! loss to the scalloped, gold edge and MINIMAL! crazing. 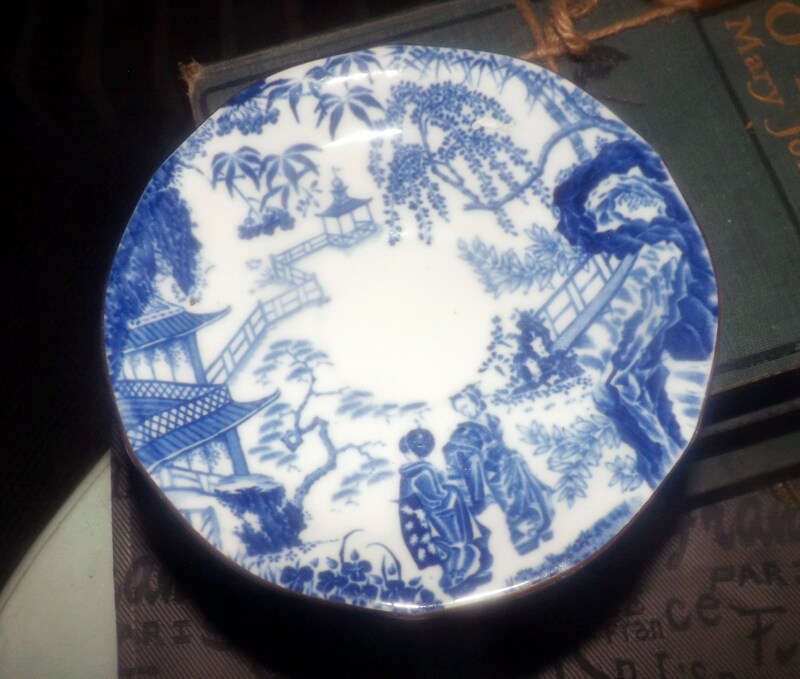 The blue-and-white Chinoiserie imagery is bright and vivid with NO! fading apparent. 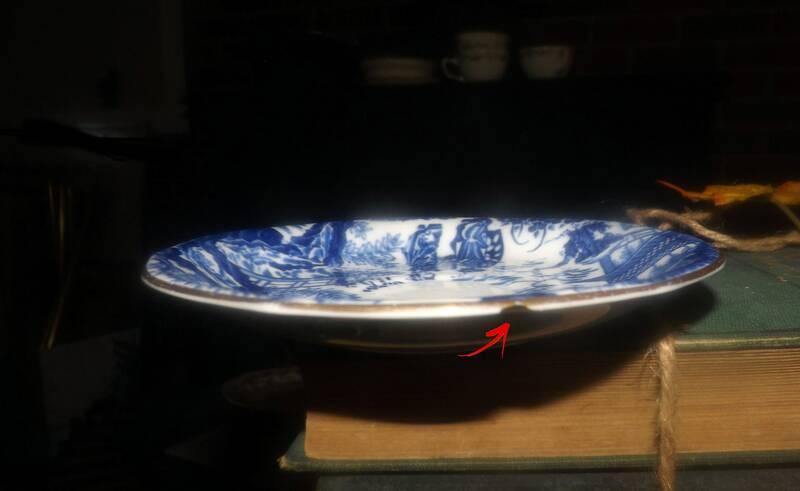 Approximate measurements: 5-1/2" in diameter (measured edge to edge) with a scalloped, gold edge. 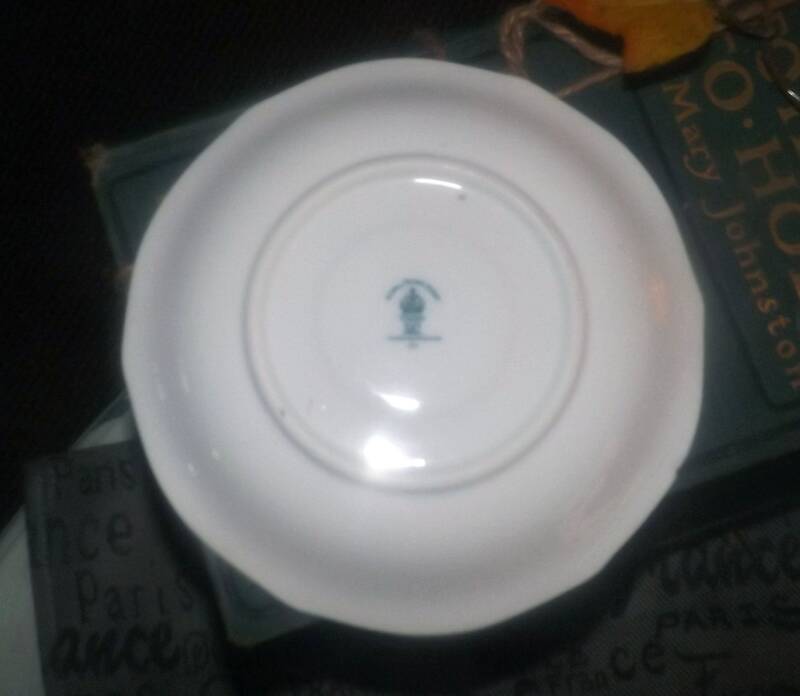 Making multiple purchases from the shop? Use the Combined Purchase Discount code COMBINEDITEMDISCOUNT at check-out and receive a 10% discount on your entire order from BuyfromGroovy.